In 1946 the consolidated University of North Carolina trustees created the School of Architecture and Landscape Design at North Carolina State University in Raleigh, combining the landscape architecture program from the College of Agriculture and Life Sciences with the architecture program from the College of Engineering. Leaders in North Carolina saw the school as a way of serving the people in the state and helping it move into the modern age. A committee of deans recommended the appointment of Henry L. Kamphoefner as dean of the new school. Upon his arrival, Kamphoefner hired several outstanding architects, including George Matsumoto, James Fitzgibbons, Matthew Nowicki, Eduardo Catalano, and Edward Waugh. He also initiated a guest lecture program that brought prominent architects to campus as visiting professors, among them Lewis Mumford, Frank Lloyd Wright, Ludwig Mies van der Rohe, and Buckminster Fuller. An advocate of modern architecture, Kamphoefner had an enormous impact on the architecture of North Carolina and the Southeast. In September 1948 the School of Architecture and Landscape Design was renamed the School of Design. The school made a rapid and often favorable impression on architecture in the state. Eschewing traditional styles, it sought to create a new modern style for North Carolina and the South with structures such as Raleigh's Dorton Arena, designed by Nowicki. In 1950 the school's Department of Architecture received accreditation, as did its Department of Design in 1951. Students began to win national design competitions including the Paris Prize, the highest student honor in academic architecture. Student work was also included in exhibitions sponsored by New York's Museum of Modern Art and the American Institute of Architects. The school was one of the top design schools in the country, and by 1952 leaders in the field considered it the most progressive southern school of architecture and allied arts. 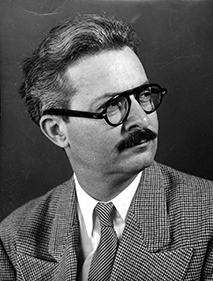 In 1958 Kamphoefner created a third program in product design. After 1967 the five-year degrees in the architecture and landscape departments were abolished and were replaced by four-year undergraduate programs and two years of graduate work. The name of the degree was changed to Bachelor of Environmental Design to reflect the School of Design's continuing philosophy of designing structures that harmonized with their setting. In an effort to meet the growing problems of urban areas in the state, a master's degree in urban design was approved in 1969, in conjunction with the Department of City and Regional Planning at the University of North Carolina at Chapel Hill. 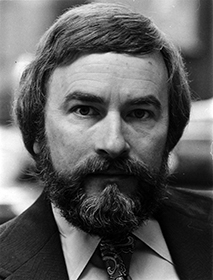 The School of Design underwent a controversial and major change in 1973, when Claude McKinney replaced Kamphoefner as dean. McKinney abolished the traditional departmental structure within the school and placed more emphasis on interdisciplinary study. He also encouraged more interaction between students on all levels of the program through the development of a series of core courses. McKinney later went on to oversee construction of N.C. State's Centennial Campus. 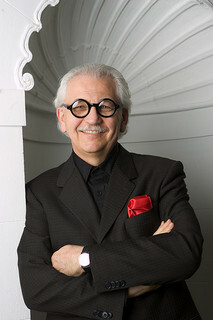 Marvin J. Malecha became dean of the school in 1994, which was renamed the College of Design in 2000. The college currently offers undergraduate degrees in architecture, art and design, graphic design, industrial design, and landscape architecture, as well as master's programs in various professional disciplines and a doctoral program in design with concentrations in community and environmental design and information design. The school also engages in community outreach through its Design Camp for high school students and its Design Research and Extension Program. NCSU College of Design website: http://design.ncsu.edu/ (accessed November 14, 2012). Design Influence. NC State University College of Design. http://www.ncsu.edu/project/design-projects/design-influence/ (accessed November 14, 2012). DESIGNlife (blog). NC State University College of Design. http://www.ncsu.edu/project/design-projects/dlife/ (accessed November 14, 2012). "Design . NCSU" Flickr group pool for students in the College of Design at North Carolina State University. http://www.flickr.com/groups/designncsu/pool/ (accessed November 14, 2012). "H. L. Kamphoefner, School of design." 1940-1959. "People. Administrators, faculty, and staff, K (UA023.024.022) Collection." Special Collections Research Center at NCSU Libraries. http://d.lib.ncsu.edu/collections/catalog/0022582 (accessed November 14, 2012). "Claude McKinney." "People. Administrators, faculty, and staff, M (UA023.024.024) Collection." Special Collections Research Center at NCSU Libraries. http://d.lib.ncsu.edu/collections/catalog/0226935 (accessed November 14, 2012). "malecha portraits 2006_1." January 27, 2006. Flickr user ncsunewsdept. http://www.flickr.com/photos/ncstate-news/2570719598/ (accessed November 14, 2012).